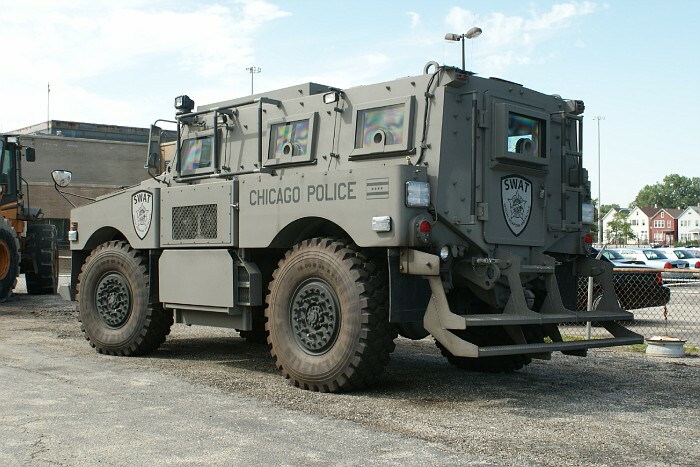 With the Pentagon, under President Obama’s leadership, announcing plans to drastically cut back America’s military might to below WWII levels, one way it is disposing of super-expensive battlefield vehicles is by giving them away to America’s police departments. A new Bloomberg News report reveals that the U.S. Department of Defense already has handed over to various law enforcement agencies a number of the $500,000 vehicles in Columbia, S.C.; Washakie County, Wyo. 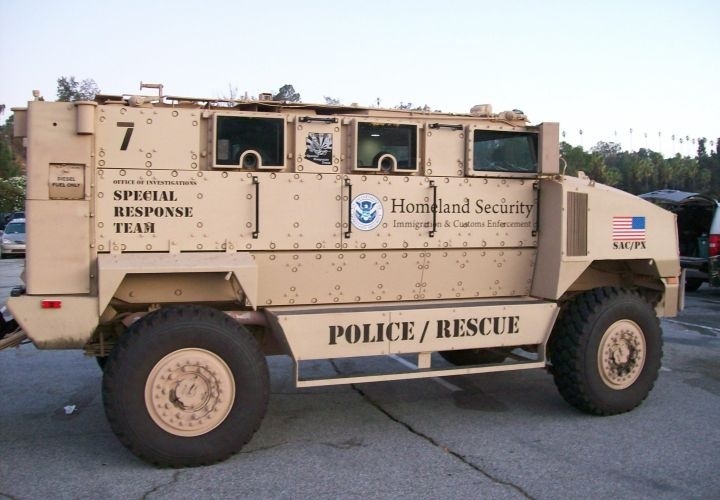 ; Queensbury, N.Y.; and Salinas and Yreka, Calif.
Of the 28,000 such vehicles, called MRAPs because they are “mine resistant ambush protected,” an estimated 13,000 are to be distributed around the country. They weigh about 20 tons and get five miles per gallon. WND reported in December that one of the vehicles was in Farmington, N.M.
“You roll up in front of somebody’s house in that and it gets their attention,” said Farmington police Cmdr. Cliff Washburn in a report in the local Daily-Times. The report says the town of about 45,000 on the high desert plateau of New Mexico gets about one SWAT team call per month. WND also reported the move is part of an overall “militarization” of police departments across the United States which increasingly is seen as threatening Americans’ rights. In one case in Sharpsburg, Md., population 706, for example, police used two “special response” vehicles, helicopters, SWAT teams, snipers and an excavator for a no-knock raid on a single-family home during a search for its owner. Local resident Tim Franquist described the scene. The suspect, Terry Porter, had admitted to owning guns despite a 20-year-old marijuana charge that disqualified him from having weaponry.